Students and teachers at the Twin Valley School District will soon have access to a curricular program that will give students an advantage in their education and future careers. The opportunity is made possible through a partnership between Bemis Company and Project Lead the Way (PLTW), a nonprofit organization that provides transformative learning experiences for K-12 students and teachers through pathways in computer science, engineering, and biomedical science. Robeson Elementary Center received a $10,000 grant and will use funds from the grant to start the PLTW Launch program and help cover annual program fees, teacher professional development, and required classroom equipment and materials. 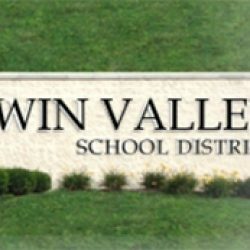 Beginning with the 2018-19 school year, Twin Valley School District will offer PLTW Launch to 4th graders as part of the Science curriculum in all of their elementary centers. This will expand the district’s current PLTW program from 4th-12th grade. Studies show that students decide as early as elementary school whether they like, and think they are good at, math and science. PLTW Launch provides students with early opportunities to develop a passion for and confidence in STEM subjects, while empowering them to adopt a design-thinking mindset through compelling real-world activities. Whether designing a car safety belt or building digital animations based on their own short stories, PLTW Launch students engage in critical and creative thinking, build teamwork skills, and grow as problem solvers. Twin Valley School District joins more than 10,500 schools across the U.S. in offering PLTW programs to students. The PLTW grant application process is highly competitive for schools. To receive a grant, schools engage in an application process that includes demonstration of the school’s ability to meet specific requirements and eligibility criteria. The requirements include district and community support, teacher professional development, technology acquisitions, a program sustainability plan, and many other factors.